Madrid Hotel Scene clearly explained to take the hassle out of choosing your accomodation! So flights are booked (if not check out who flies to Madrid and from where) & you are now trawling through the maze of Madrid hotels offered on the internet... Not to worry! 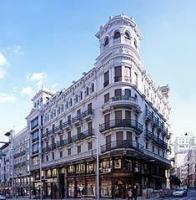 Here are listed Madrid hotels with HONEST and INDEPENDENT reviews from people who have stayed in them. Madrid Guide Spain has partnered with Booking com to bring you the lowest rates & best service available. & genuine hotel reviews from customers. These reviews come from visitors like yourselves who were impressed by the standards of service and quality they experienced during their stay!